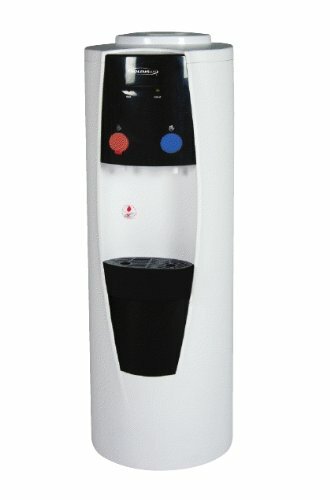 Soleus Air free standing water cooler (without cabinet) dispenses hot and cold water. Maximum cold temperature is 6 degrees with a 2.0L cooling capacity and maximum hot temperature is 92 degree's Celsius with a 5.0L heating capacity. Eco-friendly product contains no BPA. Features a child safety lock, LED operating status lights in a sleek and compact modern design. If you have any questions about this product by Soleus, contact us by completing and submitting the form below. If you are looking for a specif part number, please include it with your message.